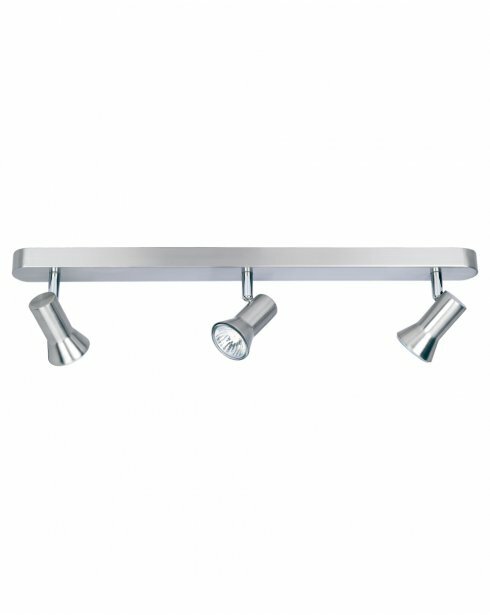 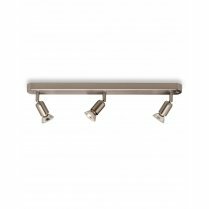 The Magnum 3 Light Bar Spotlight Fitting from Firstlight has a brushed steel finish featuring 3 smooth adjustable spotlight heads extending from a 55cm ceiling plate. 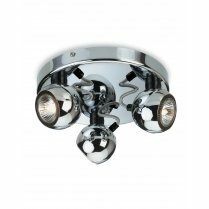 The 50W halogen lights sit flush within the steel spotlight head and are fully adjustable allowing you to direct the flow of light where you need it the most. 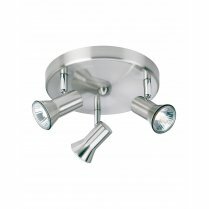 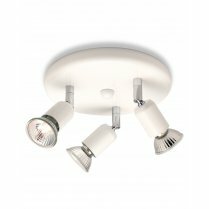 The magnum will offer your kitchen, living room or bedroom a practical and versatile light source with a modern style. 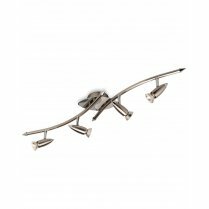 Continue the look with matching spotlights and single or 2 light wall fittings. 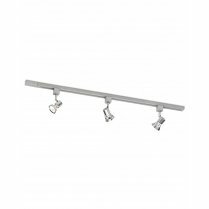 Supplied with 3 x 50W GU10 bulbs and suitable for use with low energy GU10 LED's.